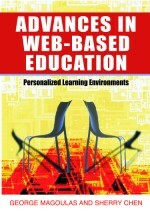 This chapter presents an overview of research work for contextualized learning, integrating the background of adaptive hypermedia, ubiquitous computing, and current research on mobile learning systems that enable support for contextualized learning. Several examples for new learning paradigms are analyzed on their potential for mobile learning and contextualization. In the second part, examples for systems that integrate mobile learning solutions in existing learning systems for schools and working context are presented. The RAFT project realizes application for computer-based field trip support and shows an integration of m-learning tools in an established teaching method of school field trips. The SMILES prototype shows the integration of e-learning services and its stakeholders with mobile learning technology.